This is a little slice of heaven. There is a thing with caramel and chocolate here on Glen Road. Basically, we can’t get enough of them. After I made the caramels with fleur de sel, I thought there must be a recipe that incorporates the same ingredients on a grander scale. When I got my pies and tarts cookbook, I thought a tart would be the perfect way to put the same flavors to work. After searching the internet, I finally found a recipe that would do the trick. 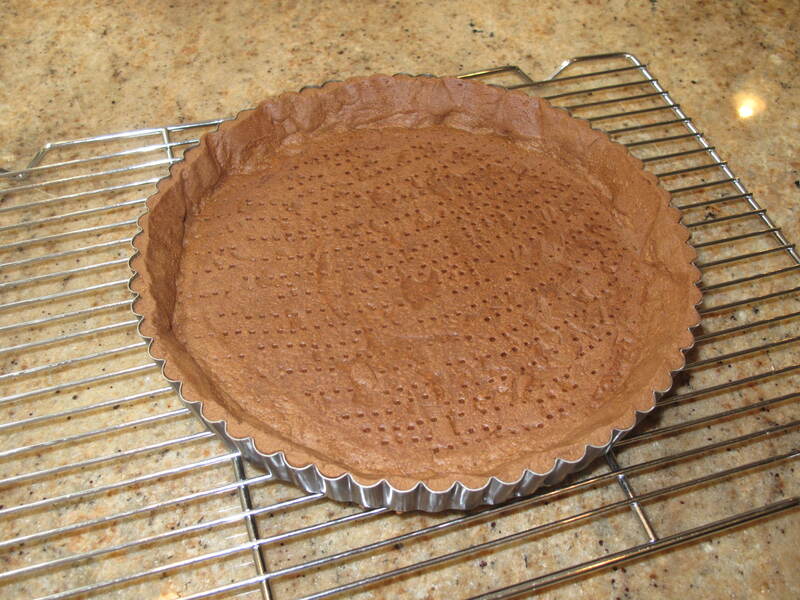 The recipe itself was one for 24 little tartlets, but I wanted to make the recipe and fit it into my 9 inch tart pan. There was going to be some modification necessary to make enough to fit my pan. The recipe I show below is my modification, but know that you will have about 2 cups of caramel left over and about 1 cup of chocolate. Feel free to modify some more, but I was actually happy, because later in the week, I have some great toppings for an ice cream sundae or maybe spread on a graham cracker or two. The recipe I found says it is from the pastry chef at the Gramercy Tavern restaurant in New York City and she actually served it at her wedding. How could it be bad? Give yourself some time to make this recipe. It is not one of my easy and quick ones. It took several chunks of one day to pull off. The other thing worth noting is that getting the crust in the tart pan was challenging. I literally slipped the bottom round under the chilled dough and lifted the round into the raised part of the pan. There was some cracking, but the dough is pretty forgiving and you can mend it pretty easily with your hands. Don’t make yourself crazy….the dough was delicious even after my mending it. It is like a wonderful chocolate cookie. 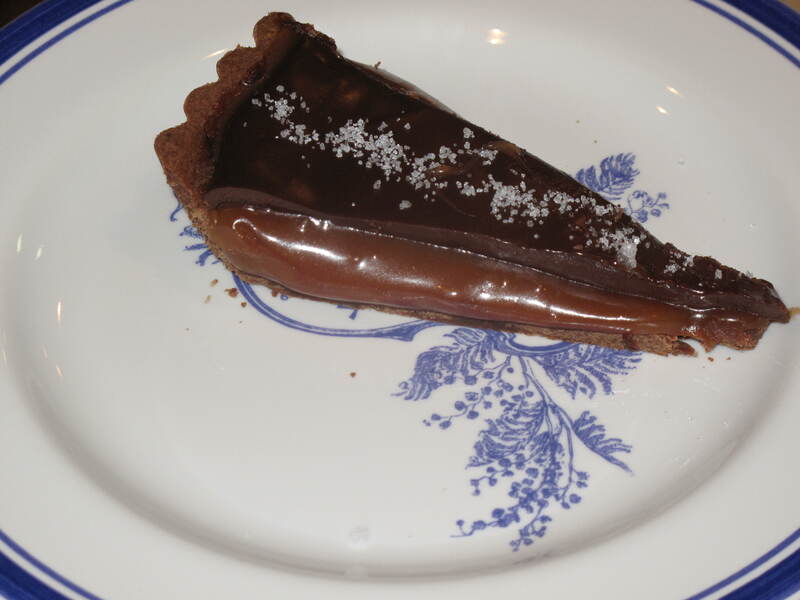 So here is a wonderful dessert….our chocolate caramel tart with fleur de sel. Make the tart dough: In the bowl of an electric mixer fitted with the paddle attachment, cream butter and confectioners’ sugar until combined, about 1 minute. Add egg yolk and vanilla and beat until smooth. Sift in flour and cocoa powder and beat on low-speed until just combined. Scrape the dough onto a sheet of plastic wrap and form it into a disk; wrap well. Chill until firm, at least 1 hour and up to 3 days. Preheat oven to 325 degrees. 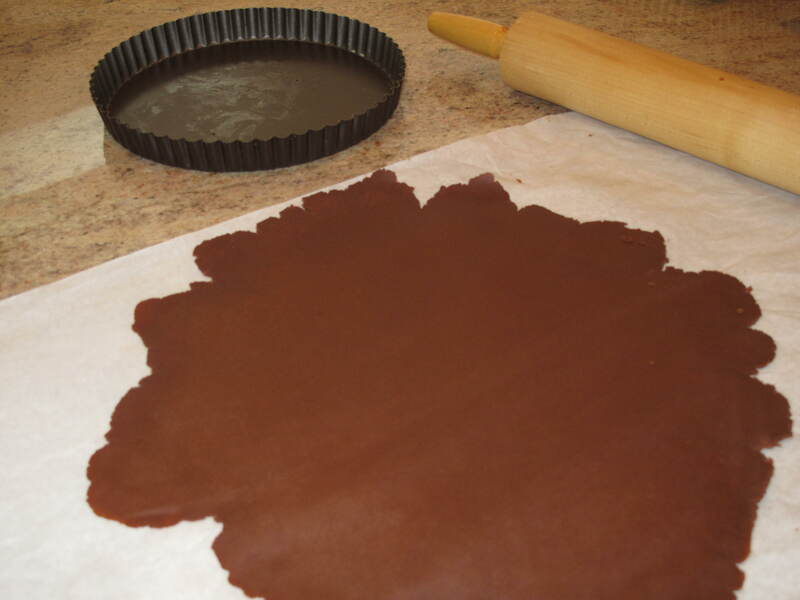 Between two sheets of lightly floured parchment paper, roll the tart dough out to fit the 9 inch tart pan. Place into the pan and trim away any excess dough. Chill the tart shell in the refrigerator for 20 minutes. 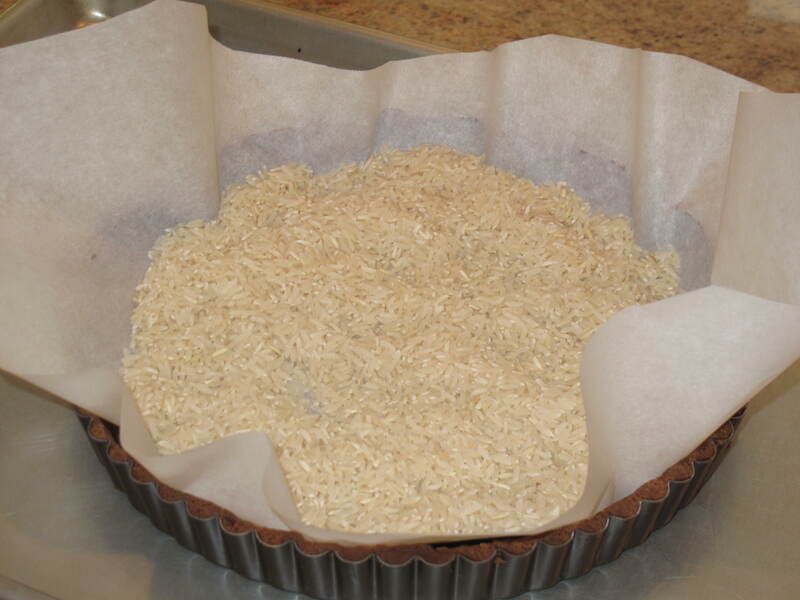 Line the tart shell with a piece of parchment paper and fill with raw rice or dried lentils. Pull parchment paper together to form a small packet. Bake for 15 minutes. Remove the packet and bake until the pastry looks dry and set, 5 to 10 minutes. Transfer pan to a wire rack to cool (the tart shell can be made 8 hours ahead). Make the filling: Place 1 cup water in a large saucepan. Add sugar and corn syrup and cook mixture over medium-high heat, swirling the pan occasionally, until it becomes a dark-amber caramel, about 10 minutes. Carefully whisk in butter, cream, creme fraiche and a pinch of salt (the mixture will bubble up when you do this so be careful), whisking until smooth (the caramel can be made up to 5 days ahead and refrigerated in a covered container). 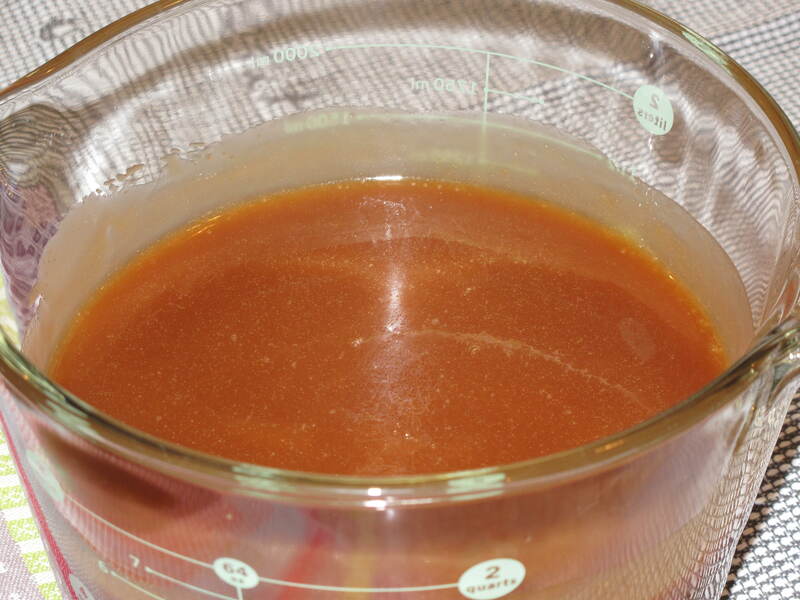 Carefully transfer caramel to a glass measuring cup. 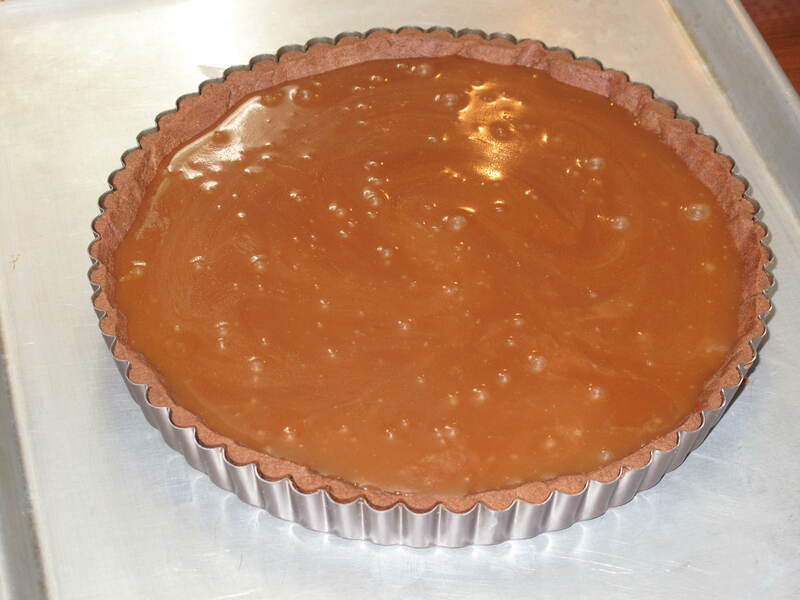 Pour caramel in the tart shell while still warm until the shell is about 3/4 full and let stand until the caramel is set, at least 45 minutes. 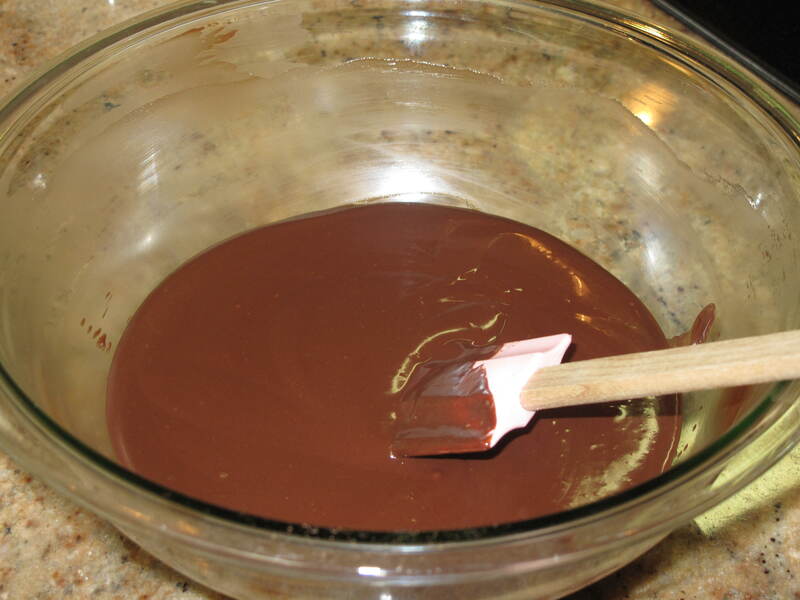 Make the ganache glaze: Place the chocolate in a heatproof bowl. In a small saucepan, bring cream to a boil. 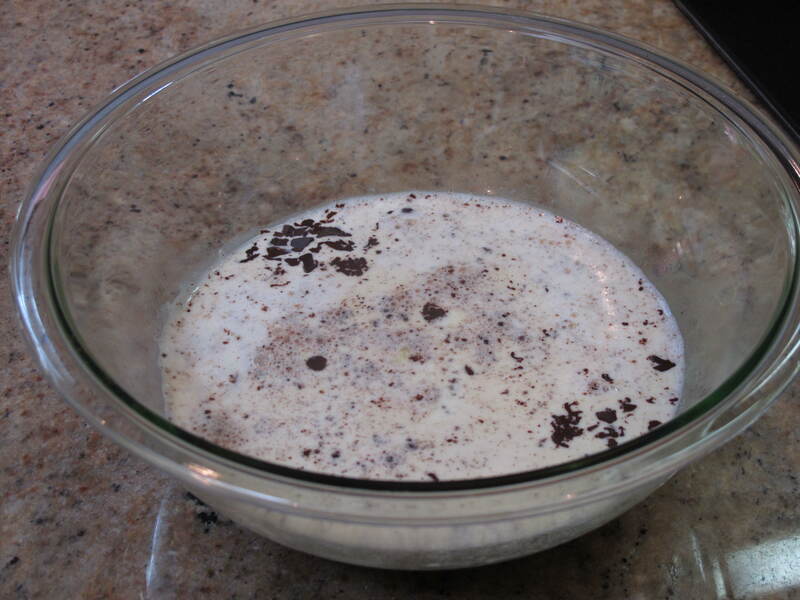 Pour the hot cream over the chocolate and let stand for 2 minutes. Stir with a rubber spatula until smooth. Pour the glaze over the tart while still warm. Let the glaze set at room temperature for at least 2 hours before serving. When dessert time rolls around, slice pieces of the tart and place on a plate. Sprinkle some fleur de sel from the top to the bottom of the slice. Trust me, there is something about the saltiness of the fleur de sel that plays off the sweetness of the caramel and chocolate that makes your tongue come alive with the flavor that hits it. We hope you like our fleur de sel caramels blown out into a tart configuration. 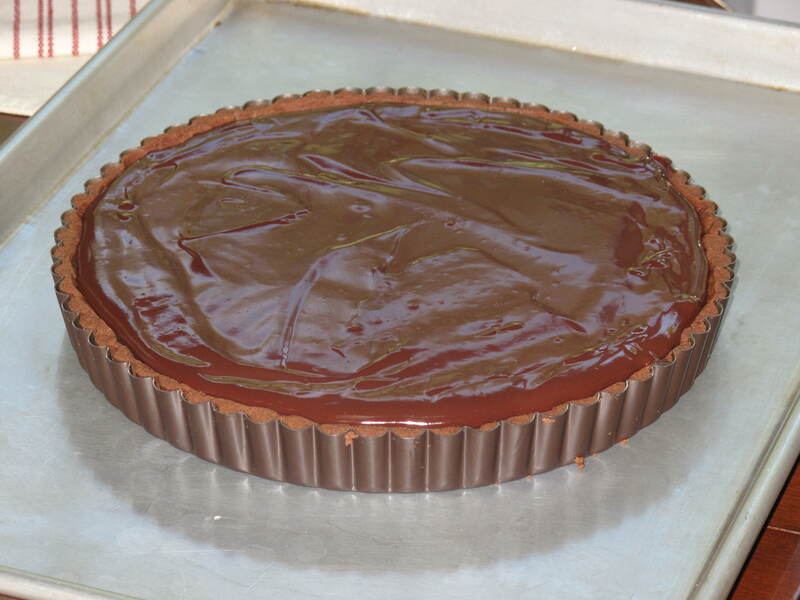 If you have the time to work on this tart, you will be happy with the outcome. The taste it unbelievable. What do you think about mixing fleur de sel, caramel and chocolate altogether in a dessert? This entry was posted in Food and tagged Acorns, Baking, Beauty, Blog, Cooking, Family, Food, Fun, Life, Lifestyle, Love, My Life, Photos, Recipes, Summer, Thoughts. Bookmark the permalink. Wow, looks amazing. My wife would go nuts for this. Oh and by the way, she was saying how cute Yorkies are the other day. I think JoJo (hope that’s right) really impressed her with the cuteness. Hi. Thanks for the comment. The tart was really good. Just took some time to make (really the only downside). As for JoJo, I won’t tell her what your wife said. She is already spoiled enough. Your dessert looks totally decadent. I’m sure it was time consuming but had to be so worth it. 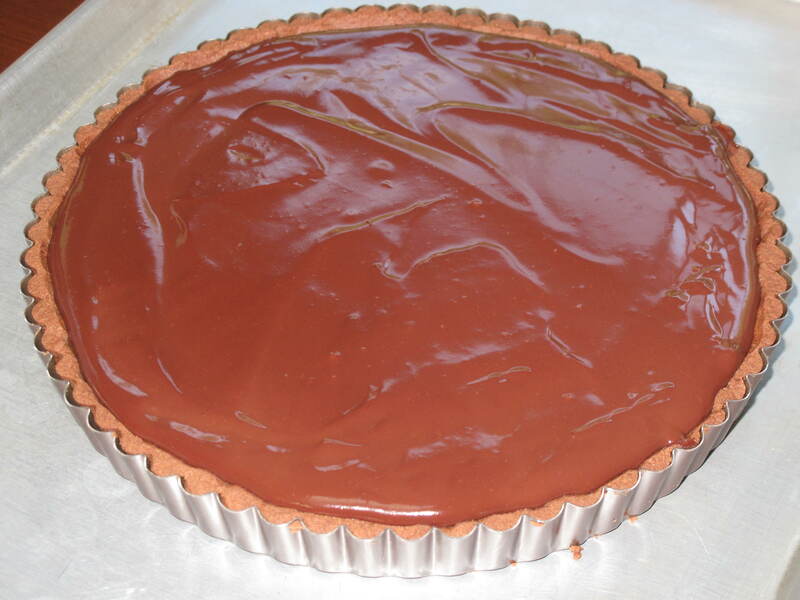 I had a dessert in Portland that was the opposite…a chocolate tart with salted carmel on top. It was great so I cam almost taste yours. Hi Karen. Welcome to Acorns On Glen. Glad you liked our little post. Portland may have to be a vacation spot. Any place that serves up chocolate and salted caramel together has to be a great place to go. Thanks for the comment. Come back and visit us soon. I don’t think I could wait the “2 hours” before eating. How could anything having caramel and chocolate be bad? Devine dessert. Hi Carolkin. It was really good. Wish you could be here to have a taste.